A massage client came in the other day whose first name started with the same sound as his last name. And his last name was a country. It WASN’T Eddie England, or even close, but that’s what I’m going to call him because it has the same effect, because it’s inappropriate and a violation of privacy to use client’s actual names, and because I need the name for the purposes of this post. Eddie England. OH Eddie England. You slay me. I could feel the charm pumping out of him. I think he has woo. 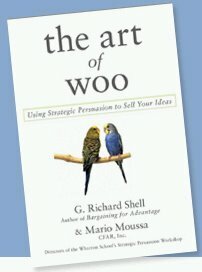 But I also have woo.Who knew two woos were bad boos? What? Oh, what I mean is, he’s PROBABLY used to “working” a situation. But so am I. And when you get two of us together, there’s usually a little bit of awkward. Back to Eddie. “Well maybe you should,” he stare-said at me. Predator eyes and all. So I started his on his paperwork and busied myself with attempting to lure the interweb back into communication with the front desk computer. i want a bird. this has nothing to do with anything. kaythanks.